I once trekked on my own along the Salkantay Trail in Peru between the town of Mollepata and the magnificent Machu Picchu. The journey in total was fifty miles, and it took me four days. I had never backpacked before, let alone on my own, let alone in a foreign country, but the opportunity was appealing. The year prior, I experienced many internal challenges. In a short time, I transitioned from having clear direction in my life and knowing what was important to me to having no grasp of what I wanted and feeling lost. The feeling was unfamiliar to me. I had spent much of my life plowing forward, knowing exactly what I wanted, why, and how to get there. Almost two years before my trip to Peru, I had just finished working breathlessly on a local political campaign for the 2016 election. The candidate lost, and the outcome of the presidential election left me feeling even more defeated. Shortly after, I traveled to Thailand for three weeks with a friend. When I returned to the states, I was unsure of where I wanted to place my next step. I was still feeling politically fired up, and with that energy I decided to start a nonprofit organization in my state to encourage women to run for office. I worked day in and day out putting together statistics, a website, a business plan, and coffee dates with important people in the community. It didn’t take long for the organization to gain momentum because it attracted the support of people who were also intensely moved by the election. Meanwhile, I entered into a tumultuous and emotionally exhausting relationship, I moved to a different town after living in my parent’s basement, and I was seeking full-time work to pay bills that I barely had the money to cover. I felt split between two worlds: one of chaos and one of professionalism. In my naive mind, I believed those two world existed separately, and I couldn’t find my place in either one. When I jumped on the opportunity to start an organization in my community, I wasn’t fully aware of how demanding it would be. Just as it started to gain momentum, I secretly knew I didn’t want to be part of it long-term. I knew I was capable of building the organization, but I was also young and inexperienced, insecure, and distracted by the ambiguity of being a fresh college graduate. I chased after a shiny object that I, as I got closer, discovered wasn’t something I was as interested in as I initially thought. A year after the organization started, I resigned from the Board of Directors. We then decided to dissolve the organization altogether, and I breathed a major sigh of relief. Around the same time my boyfriend and I split for the second or third time. I was left in a state of confusion and felt defeated again, but it was a different type of defeat. It was a feeling of intense vulnerability. I felt exposed and lost—two feelings I’ve always been good at avoiding. When I decided to trek fifty miles through the Andes Mountains, it was an attempt to find clarity. I hoped that hiking by myself in nature would bring sudden insight into what I had just experienced and what I needed to do next. I instead learned that clarity doesn’t arrive just because we demand it. Rather, clarity comes in its own time, typically after one has endured the uncomfortable but often necessary road of uncertainty. If you’re currently facing uncertainty in your career, relationships, or any other area of your life, perhaps some of my other lessons will be helpful to you. 1. It will be painful—keep going anyway. On the third day of my hike, I grew nasty blisters on the heels and toes of my feet. I also felt a throbbing pain on the inside of my calves. Halfway through the day, simply putting weight on my foot became the most painful task. I was walking by myself on a dirt road, and I had no idea how much further I had to walk before reaching my campsite. I wasn’t even confident I was headed in the right direction. Okay, just walk to that point, I’d tell myself, looking about 100 meters ahead where the road curved or changed in some way. Maybe the view will change once you get there, I thought. A different view meant that I might suddenly see my campsite in the near distance. Not knowing kept me going because there was always the possibility that I was meters away from resting. Breaking the hike down into smaller chunks also helped me to stay motivated. If I imagined the total distance I had left to go, it was overwhelming. A journey of uncertainty guarantees pain. It’s uncomfortable. It’s vulnerable. It’s frustrating. Sometimes we want to lay down in the middle of the road and give up. It feels easier to stay in the same place than to walk toward something that’s unknown. But with uncertainty, there is no way out but through. Try to break it down into more manageable parts—can you make it through the day? The week? The next month? With uncertainty, you never know when you might turn the corner and suddenly see answers in sight. Tomorrow might offer insight, so why stop now? 2. Distractions don’t solve uncertainty. The beauties of traveling alone are many, but they always come with a degree of loneliness. In Peru, it was difficult to wake up cold and alone in a tent, knowing I only had myself to talk with. I would’ve much rather reached my arm across to pull a warm body close. I was jealous of the couples I had encountered on the same trail who were hiking together. I was frustrated with my loneliness and annoyed with myself for being alone. Really, what I wanted was love to distract me from the uncertainty I was facing in my life. But I knew that if I wallowed in what I wanted instead of what I had to do, which was to pack my tent and all my other belongings into my backpack and move forward, I would stay stuck in the same place and wouldn’t get any closer to my destination. 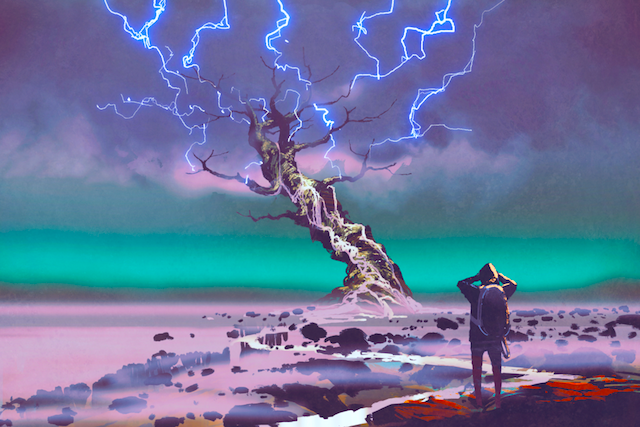 When we’re caught in a phase of uncertainty, it’s tempting to attach to distractions that’ll keep us from focusing on the discomfort we feel. The most appealing distraction when confused about life is to chase after opportunities that aren’t necessarily best for us. The panic we feel when we lack direction is so strong that we would rather seek mediocre, senseless options than to stay in the uneasiness as we wait for clearer direction. Ultimately, waiting for direction leads us to our greater purpose. But we can’t follow the direction if we’ve already made a decision based on fear. 3. Trust that there will be guides. The first time I went the wrong way along the trail was on day one. I had just walked through some sort of political event. Interested citizens sat along a ledge while they listened to a well-dressed man speak in a confident tone. After I passed, I took a left turn at a crossroads. I heard a voice behind me and turned around. It was one of the men from the group, pointing the opposite direction. He had followed me a few steps up the trail, making an effort to redirect me. “Salkantay?” I said. He nodded. On the third day, I arrived at a small village where a family of three lived. After hiking a steep hill, I sat on a wooden stump by their home to rest. I bought and devoured two passion fruits from their garden. On my way out, I turned right on a dirt road. A boy about two years old saw me and pointed left. “Salkantay?” I said. He cocked his head. “La Playa?” I said, the town where I was headed. He nodded and pointed left again. I turned around and continued to hike along the dirt road. On the last day, I passed a turn I needed to take. My senses stopped me. I had just passed a few hikers, and they weren’t behind me any longer. I pulled out a book of directions (which I’m never good at understanding), walked back, and found the small path that led me into the mountains. Without unfamiliar faces along the way to guide me, I would’ve easily wound up lost in the Andes Mountains. Maps and written directions aren’t always helpful when standing in a specific place. Sometimes, finding the way requires trust. If you haven’t found a sign to help guide you on your path of uncertainty, have faith that it’ll arrive in the right moment. The only way to find the signs is to keep walking—keep taking action and trying new things. The signs and guides are waiting for you to arrive. Near the end of the trek, when my feet were blistered and my legs swollen, it was important that I had enough time to rest before the next day. I knew that in order to push forward, I had to take care of my body. I spent the evenings stretching, massaging my muscles, and wrapping tape around my blisters. Though the pain would still be there the next morning, it was a little more manageable than the night before. The pain had subdued just enough that I knew I could continue hiking. Since we’re never sure when a phase of uncertainty will end, it’s critical that we take care of ourselves throughout it. Creating time to rest and take care of ourselves—which for me is getting enough sleep, exercising, and journaling – ensures that we will have enough energy to push through the discomfort we feel. It’s when we lose our energy that we cling to distractions, miss important signs along the way, or give up. Trust that no matter how difficult a single day is, there is always space to pause and take a deep breath. Sometimes that’s all you might have energy for, and that’s okay. Without rest, there is no journey. On my flight out of Peru, I peered out the window at the many trails that marked the earth’s skin like scars. I thought about the trek I had just experienced. I wondered, what did the trail look like from the sky? I imagine a life’s journey looks similar. It curves and zig-zags through different terrain; some parts uphill, some downhill. It’s never a straight line. Uncertainty is a natural and guaranteed part of life. A journey isn’t intended to be seen from a birds-eye view. It’s rather meant to be lived in the moment through our own experiences. We don’t need to know what lies beyond what’s right in front of us. We’ll reach it eventually, in the right time. There are moments when we reach a lookout point and can make sense of the larger picture of our lives. From that perspective, we can look back at the journey we just accomplished. We can understand the connection between the series of events that have created our lives up to that point. But more often than not, we don’t have the ability to see our journeys from the lookout point. We instead see what it looks like right in front of us: a steep hill, thick trees blocking the view, and no signs in sight. We have doubts about what lies ahead. When we trust that there’s a grander view of the trail we see directly in front of us, we can muster the energy we need to carry us to a day when, finally, we reach a lookout point. From that view, everything makes sense. Trust that, regardless of what it looks like now, the lookout points are waiting for you along your path. Samantha is a writer, a wanderer, a spiritual seeker, and a full-time student of life’s experiences. She generally writes about self-growth and the deeper meaning behind life’s experiences. Samantha runs Taproot Theory, a blog that focuses on living a life of intention, meaning, and purpose. Find the blog at www.taproottheory.com or on Instagram @taproottheory. In her free time, Samantha travels and explores the woods. 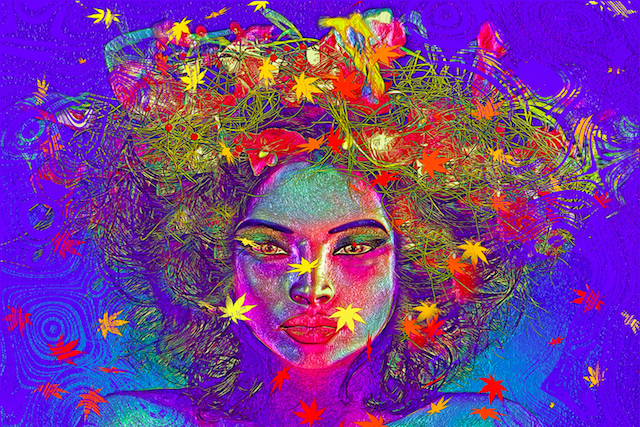 The post How to Push Through Phases of Uncertainty appeared first on Tiny Buddha.